Whether you are looking for a church to join, or you want to hear the word of God preached, or you are just seeking a few moments of prayer, or you want to receive the Holy Eucharist you are always welcome to attend worship services at Trinity Church. We are located at 18 Ryers Lane, off Route 79, in Matawan. Use our online map and driving directions. Some of us wear a tie or a dress but many of us wear casual slacks and shirts, even jeans. We come to worship the Lord and everything else we do takes a backseat to Him. We have a wonderful approach to children's worship, providing the young ones with special activities, bible study and "children's sermons" on Sunday. Is the baby getting restless? Feel free to retreat to one of the rocking chairs at the back of the church. If you are baptized you are welcome to receive Holy Communion regardless of your current denomination. Those receiving the Eucharist simply come to the communion rail and kneel or stand to receive. Some of us eat the wafer or bread and then sip from the chalice. Others dip the wafer or bread into the chalice before consuming it. Either practice is acceptable. You can put money in the offering plate if you want but we don’t expect it from visitors. Our members support the operations of the church, as part of stewardship, for the benefit of all believers and all seekers. Looking for purpose as well as faith and worship? At Trinity Episcopal Church, we share a fulfilling mission and vision. Read it here. 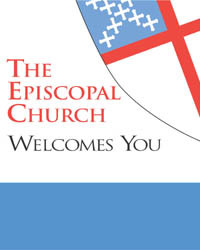 To learn more about Episcopalians, visit the online visitor's center of the Episcopal Church. If you have more questions or would like to speak with someone from Trinity, send us an email or phone the church office at 732-591-9210. We would love to hear from you. We always enjoy a little coffee, tea and fellowship after the 10 AM service on Sunday and we love to have visitors and newcomers join us. Come by and say hello. There are no strings attached.